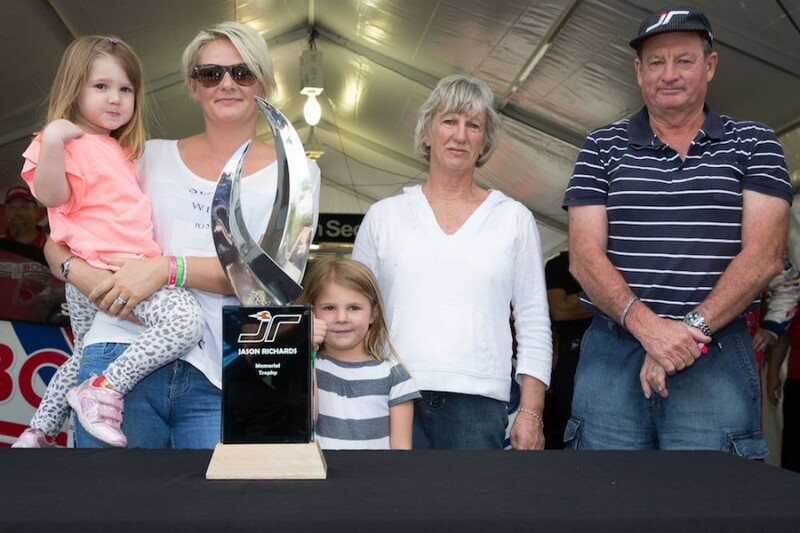 The parents of late Kiwi Supercars hero Jason Richards have made an emotional return to Pukekohe this weekend, to present the trophy named in their son’s honour. 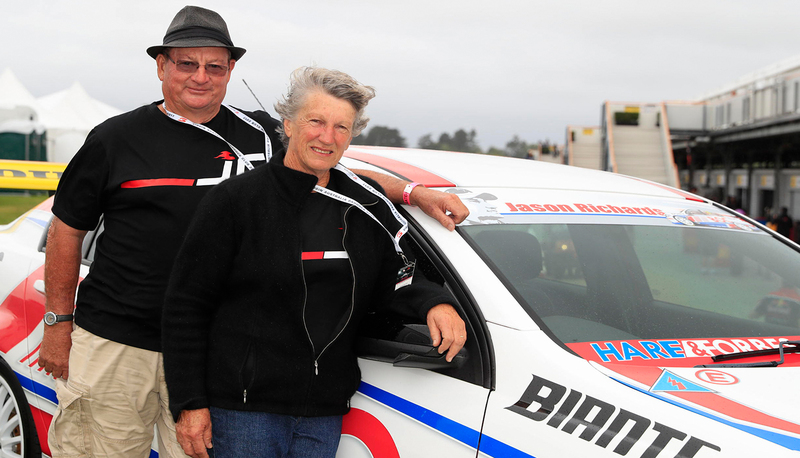 Nelson-based Dave and Pauline Richards have not attended a Supercars race since the 2013 ITM Auckland SuperSprint, where the Jason Richards Trophy was awarded for the first time. The trophy goes to the highest points scorer of the weekend in memory of former driver Richards, who succumbed to a rare form of cancer in December 2011, aged 35. 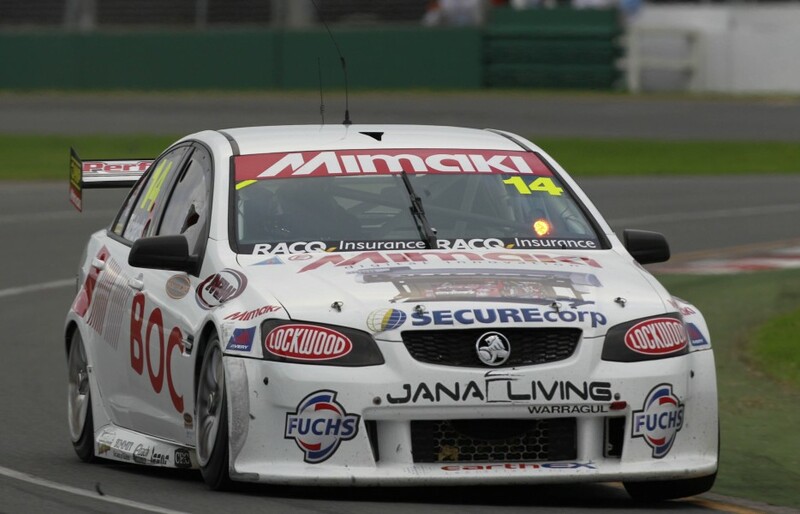 A highly-popular figure in the Supercars paddock, Richards had raced full-time in the championship from 2001 before the diagnosis in late-2010. Dave says that he and Pauline’s 2013 Pukekohe visit was so emotion-charged that it kept them away in subsequent years, but that the time was right to return. “It’s been really hard. It’s been a long time, but it’s still raw for the both of us,” the 71-year-old told Supercars.com. “After last year’s event we had a big think about it and thought it was about time we came back and faced the music. 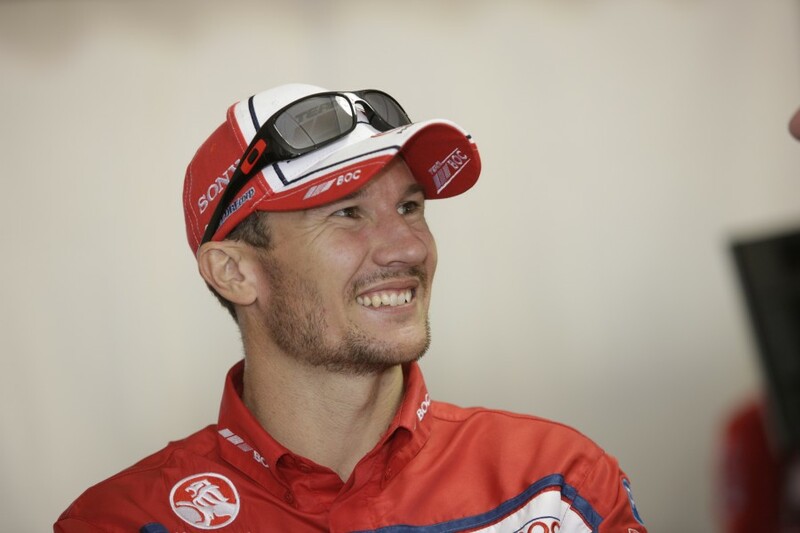 “Emotionally it’s been hard, but the fact that Supercars allowed us to put our motorhome in the pits means we can come in and regroup and get ourselves back together and then get back out there again. “The last time we were here, emotionally it was really, really hard because we couldn’t get away from it. That was a hard weekend that turned us off coming back. “Now we’ve done it this time, we’ve got our motorhome and so far, I’ve only had tears coming out of my eyes once, when I read about Jason in the program. “We’re moving on slowly I think, but it’s magic the way we’ve been treated by Supercars. Having spent Friday reacquainting themselves with many old friends, Pauline says the weekend is going even better than expected. “We knew it was going to be hard to face people because it brings back memories and you think to yourself, ‘if it’d been different he would have been here racing’,” she added. “It’s a track he loved, he raced more here than anywhere else in New Zealand, so it was his home track. “Over the years we’ve made a lot of friends through pitlane and it’s been awesome to catch up with a lot of people who we felt had dropped out of our lives in the last four years. “It’s great to see people. Our old team, Brad Jones [Racing], they’ve made us feel so welcome and you get hugs everywhere you go. We’ve had plenty of those. “It’s been awesome and we’ve got a lot more catching up to do over the next two days. Dave admits that going out onto the podium on Sunday to present the trophy will be the biggest test of their emotional strength, but they’ll “give it a go and see what happens”. Although staying away from the paddock for four years, the couple say they never miss a Supercars race on television. “It’s easier at home because no one can see you. You can just watch it and it’s enjoyable,” explained Dave. Both speak excitedly about the current crop of Kiwi drivers and admit they have a soft spot for Fabian Coulthard, who they delivered a message of encouragement to on Friday. “I said to Fabian that I don’t want to put any pressure on, but I want to present the trophy to you on Sunday,” said Dave. “Fabian and Jase were great mates, they raced karts together, stayed at each other’s homes. “Fabian was a year under Jason, most of the time, but they got on so well, as we did with his parents. 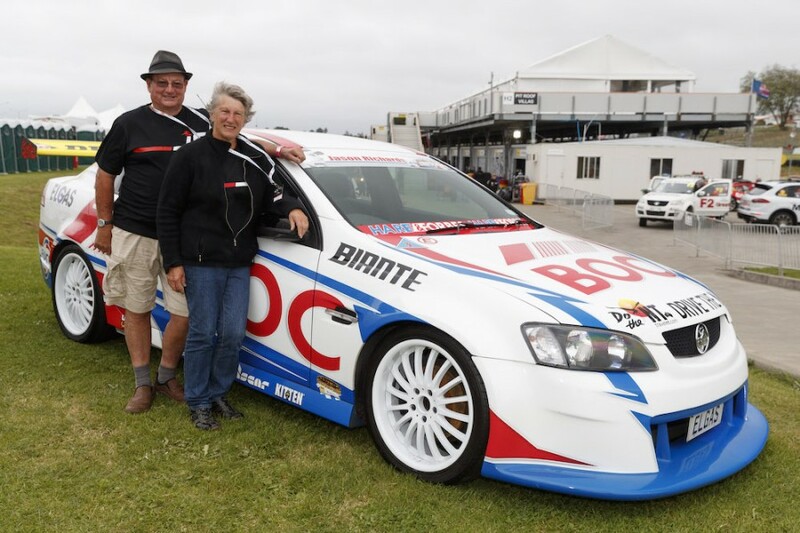 Dave had worked in the Supercars paddock during his son’s career, looking after the tyre bank during race weekends at various teams Jason drove for. Now all-but retired from the cold storage industry that was his main employment throughout those years, Dave and Pauline travel NZ in their motorhome with dog Lucy, named after a lamb that Jason reared during his early years living in the family property. They also enjoy occasional getaways with Jason’s Melbourne-based children Sienna and Olivia, enthusiastically describing characteristics displayed by the two primary-school aged youngsters that have been inherited from their father. While doing their best to enjoy retirement, Dave and Pauline’s difficult journey also included the former being diagnosed with prostate cancer three years ago. Happily, he reports that all signs are looking good. “At this stage I’m all good. It’s in remission, if that’s the word for it,” he said. “I don’t have any side effects generally from it and I feel in my own mind like I’ve beaten it. Whether I have or not, I don’t know, but I’m telling myself I’ve beaten it.